If you are struggling with a family law issue, you face many personal and financial challenges today. But hidden in these struggles is the opportunity to pave the way for a better tomorrow. At Prendergast & Associates, P.C., we help Colorado families seek a brighter future by offering excellent legal representation for divorce, domestic violence and other critical legal issues. Contact us today at 866-213-2643 to speak with an experienced family law attorney. We have law offices conveniently located in Littleton and Parker, Colorado. Attorney Paul A. Prendergast has been practicing law for over 26 years and has a long track record of success winning positive results for his clients. In 1984, just a year after starting his private practice, attorney Prendergast argued his first case before the Colorado Supreme Court. In addition to his legal credentials, Mr. Prendergast holds a degree in finance from the University of Colorado, Boulder, which helps him serve his clients' interests in complex property division cases. Furthermore, Mr. Prendergast is well-versed in sensitive legal issues involving domestic violence and sexual abuse that often tear families apart. He and our talented team of lawyers will be here to help you realize your legal protections and find the therapeutic and mental health resources you need. 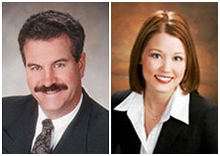 Our attorneys employ a wide range of legal tools to help our clients achieve positive results. Whether you are struggling with a divorce dispute, or facing a disagreement over your child custody arrangement, we offer you flexible dispute resolution options. We are adept at seeking favorable settlements through mediation and negotiation, and often urge our clients to seek commonsense resolutions through those means to preserve familial harmony and spare children from undue stress and anxiety. But when those tactics fail to yield sufficient results, we are always prepared to fight for your interests in court. For your convenience, we offer free initial consultations and accept Visa, MasterCard and Discover credit cards. Prendergast & Associates, P.C. provides legal services to the cities of Littleton, Denver, Brighton, Castle Rock, Centennial, Cherry Hills Village, Commerce City, Elbert, Englewood, Golden, Franktown, Greenwood Village, Highlands Ranch, Kiowa, Lakewood, Lone Tree, Parker and Sheridan, and Jefferson County, Arapahoe County, Adams County, Denver County, Douglas County, Elbert County and Lincoln County, Colorado.